In the middle of the 18th century, Methodist Circuit Riders often stopped at Van Cortlandt Manor House, where a corner bedroom was kept in readiness for traveling dignitaries. So often was the room occupied by such men as George Whitfield and Francis Asbury that it became known as “Prophets Corner”. By 1780 a formally organized Methodist Society existed and began plans for its first church building. In 1777, Pierre Van Cortlandt, first Lieutenant Governor of New York, ceded to the community of Croton Landing a piece of property on a high knoll overlooking the Hudson River. The prominent Van Cortlandt family also contributed to the building of the Methodist Chapel. The exact date of the building cannot be determined, but records tracing the production of nails used in the Chapel place the date of construction between 1779 and 1781. The property as a whole was placed under the supervision of the Methodist Church by the will of Brigadier General Philip Van Cortlandt, who died in 1831. Bishop Francis Asbury recorded in his journal in 1795,”I had a comfortable time in Croton Chapel with Romans 1:16.” Asbury made other visits to the chapel and Van Cortlandt Manor and must have greatly influenced the Bethel Methodist Episcopal Church, for when they erected their second building, his name was given to the society. By 1875 the society had outgrown Bethel Chapel, so it was decided to build a new church at the foot of the hill. Land was purchased from the Barlow estate and construction began as early as 1875 on the present building. 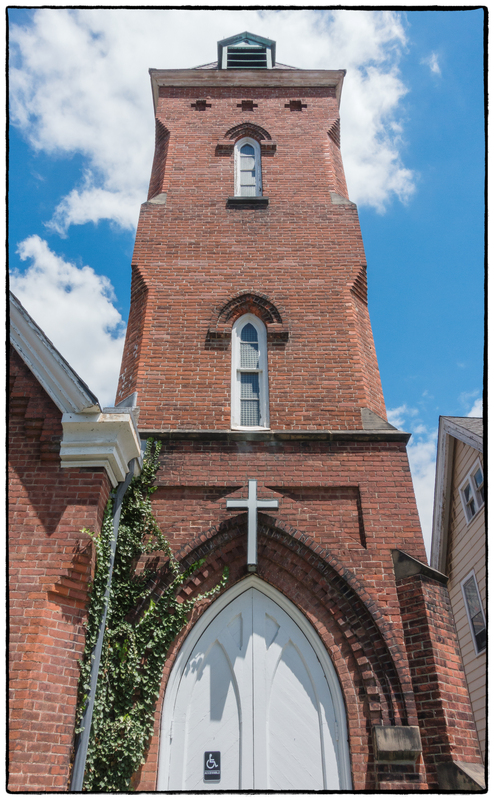 For a short time the church was known as Memorial Methodist Church, but with the dedication of the new building in 1883, the name Asbury Methodist Episcopal Church was adopted. In 1891 a parsonage was built next to the church. The building is now used for a commercial office with an apartment on the second floor. The present parsonage on Grand Street was purchased in 1963. In 1912, a pipe organ was installed in the Asbury Church Sanctuary as a gift from Andrew Carnegie. The basement of the building was dug out and finished as a social hall and the kitchen at a later date. In 1948 the Chancel was completely remodeled and the pipe organ removed. The present education wing, formerly the County Trust Company, was purchased in 1968 and completely renovated and was ready for dedication by the summer of 1969. Consecration services were held June 22, 1969 with Bishop LLoyd C. Wicke presiding.